Seanna van Helten is a writer, researcher, dramaturg, theatre-maker, co-founder and co-Artistic Director of She Said Theatre. For She Said Theatre, she is author of Salt (La Mama Courthouse), Fallen (Sport for Jove Theatre Company/Seymour Centre), co-author and dramaturg of the award-winning HART (Australian and New Zealand tours), author of Laika and Wills (Melbourne Fringe), and co-author and co-director with Penny Harpham of Breaking (Melbourne Fringe). 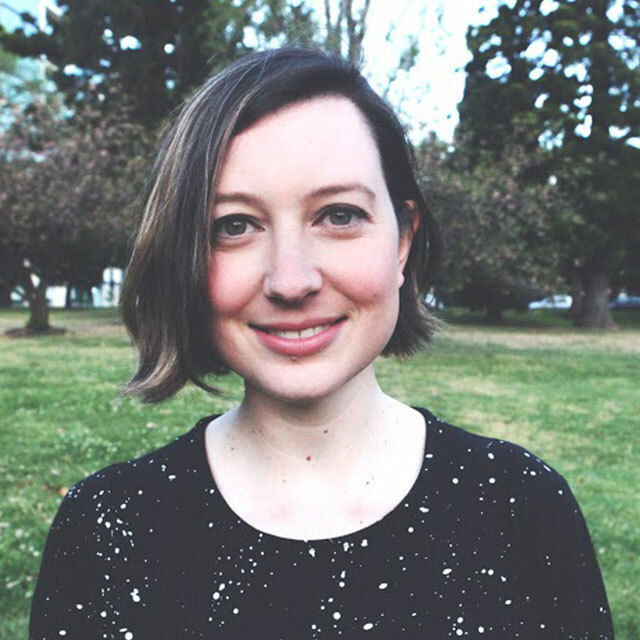 In 2016, Seanna was a writer-in-resident at Lonely Company, where she developed Salt, was selected to develop her script Fallen at Playwriting Australia’s National Script Workshop 2016, and was the recipient of the Australia Council’s ArtStart grant. Since the founding of She Said in 2006, Seanna has also worked as dramaturg on Adam J. A. Cass’s Bock Kills Her Father (La Mama Theatre), produced Noelle Janaczewska’s Historia at Brisbane’s Metro Arts, developed and produced a reading of Dead She Scrolls (co-written with William McBride), and has participated in creative developments at Bluestone Church Arts Space, Darebin Arts Speakeasy, Metro Arts, Arts House, and the Abbotsford Convent. Seanna has contributed as an arts writer and reviewer to Melbourne’s Milk Bar Mag and is the former Arts Editor of Brisbane’s Rave Magazine. She has also published writing in the Griffith REVIEW and Voiceworks. She is a graduate of the University of Queensland and of the University of Melbourne, where her dissertation on contemporary Australian literature received the Percival Serle Prize. In 2014, she completed the Master of Writing for Performance at the Victorian College of the Arts, under Raimondo Cortese.